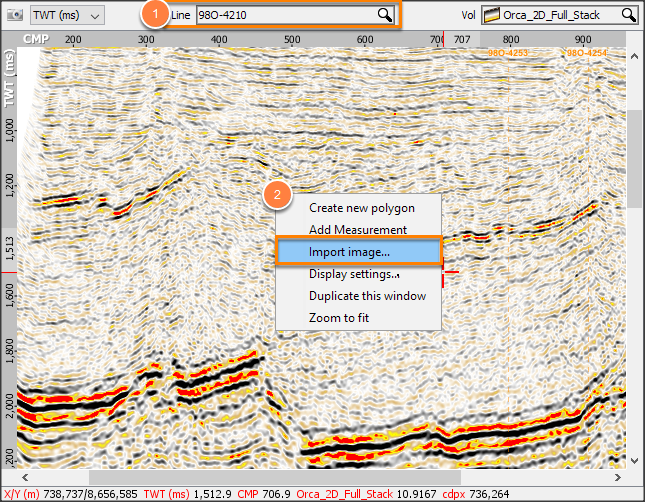 Vintage seismic data is sometimes provided as images and scanned sections. 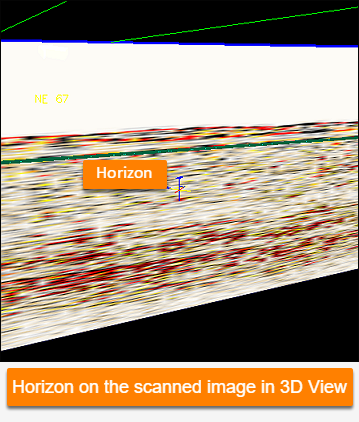 Seismic images can be displayed in IL/CL, arbline and 2D section views. Note: See this page for information on loading culture and other images in the map view. Open Control Panel > View > 2D Line View and choose a line on which to load the image file. Image will only be visible on this line. Right-click inside display area and choose Import image. Select the image file to load. The Image Properties window will be displayed. 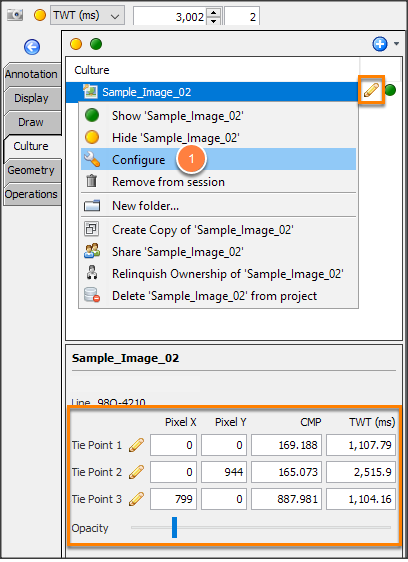 In image properties window, set tie points to correctly place the image in the view. Adjust the tie points of the image on the view by dragging the handles to the desired TWT and CMP locations on the 2D line. Use Opacity slider to adjust the image transparency. Press ESC or close the window when the settings are correct. Tip: Notice that in the Image Properties window, the 2D line where the image is located is displayed. These images are stored in the Culture tab in Map View. To rename the culture, right-click and select configure. Right-click on the image and click Adjust "image_name". Scale and skew the image by dragging the handles at the corners. Click on the pencil icon in the Culture tab. 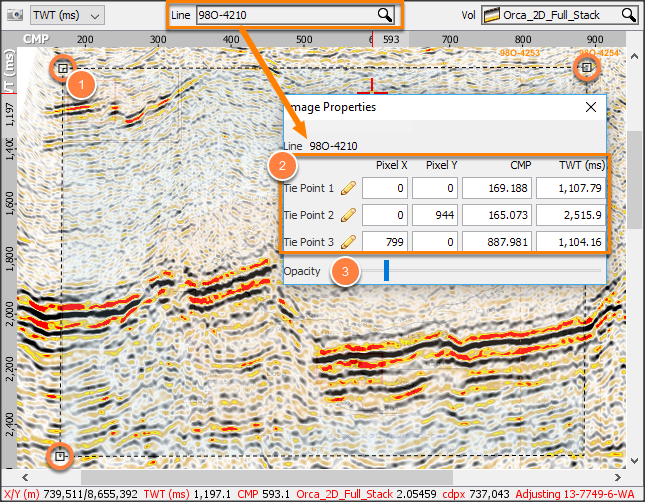 Type the values of the three tie points directly in the Image Properties window or in the Details Panel. Right click on the View and select Stop Adjusting "image_name". 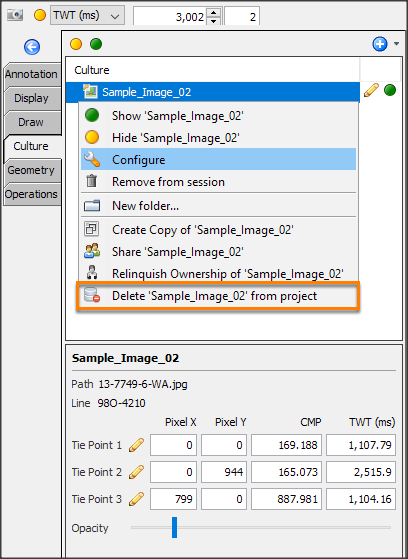 In the Map View > Culture tab, right click the image and choose Delete "image_name" from project. 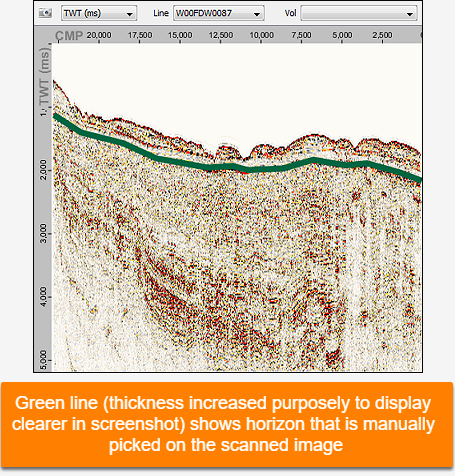 Use scanned seismic sections to continue interpreting a horizon. 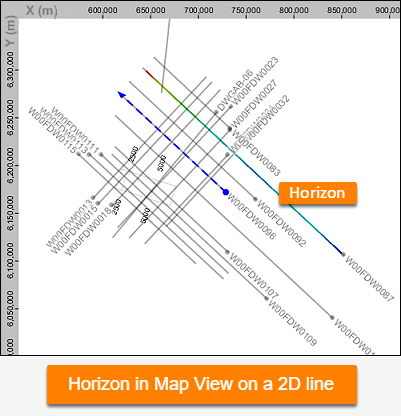 Because the seismic is an image, the horizon picker should be set to straight-line (unguided) mode. See here for details. The interpretation will be visible in other views along with the rest of the interpretation.